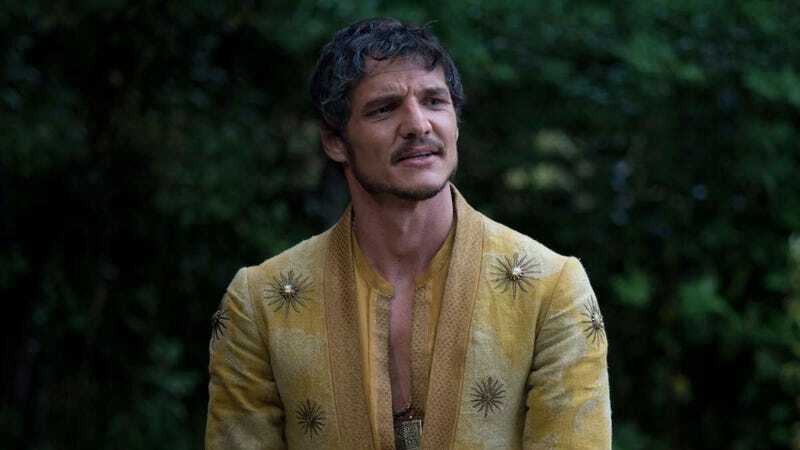 Pedro Pascal, seen here in Game of Thrones, is joining the Star Wars universe. Variety’s article says that “Pascal’s name had previously been rumored for the role, but sources say he was one of many actors being considered. Now, insiders tell Variety that he has been offered the role and negotiations are underway.” Which is all well and good but...the show has been filming for several weeks now. Was there someone else under the helmet in the photo Lucasfilm revealed? Or has this all already happened and the media is just catching up? Frankly, we don’t know yet. We just know Pascal is an excellent actor with a unique presence and we’re all for him hunting down and shooting people all across the galaxy. Update: Entertainment Weekly reports filming was ongoing without a lead actor, which explains the timing mentioned above, and that he is indeed the title character. Minor changes have been made to reflect this.